1. Fairy-tales. I mean who doesn’t love a goof fairy-tale and its retelling? 2. Fluffy love. This book just permanently keeps you smiling at their interactions. 3. Book nerds. Yep never mind all us Potterheads, Cinders are all the rage. Basically this book is a modern retelling of the Cinderella story, but with a slight twist. Ella is physically and psychologically damaged after a fatal car crash on her 18th birthday and the only person to get her through it, her online pen-pal of three years Cinder. So what does this have to do with an actor? Well he is Cinder but Ella doesn’t know. This book is told from their two perspectives and carries a witty and appropriate banter between the two characters. With a four year age gap, it is clear that Brian has a more mature sense of humour while Ella is the more mature person pertaining to her accident. Ella’s source of comfort has always been Cinder and her blog and this morphed into a deep friendship over the years before the accident. 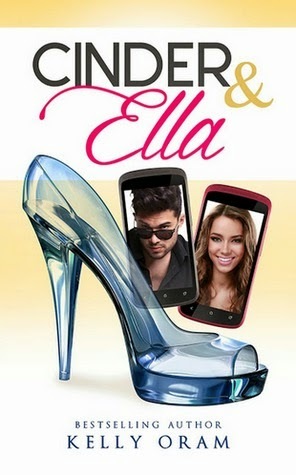 We see Ella’s character improve and regress through out the book and the relationship between her, her step family and friends changes throughout. Similarly to her emotional state her friendship with her family are tedious and sometimes hateful. This does change throughout the book to a more open family bond and a connection of love. Having moved States, she has no friends and so the emotional impact of the introduction of friends is felt by Ella herself as she improves and starts to live with the world rather than against it. Cinder, or Brian, is an up and coming movie star who has been coerced into a false engagement in a bid to up the publicity for the film and his professional image. Having cemented a deep bond with Ella before her accident he is grief stricken and heart-broken so when she makes contact again, his character completes a full 180 and is literally a new person. The plot is fairly simple with a couple twists which enable the reader to keep on reading (Yes Mr Clock I see you.) and allow for the character building necessary for such a book to be successful. However those familiar with your happily ever afters will not be disappointed but will enjoy the ride with Ella and Brian. Kelly has once again out done herself with this book and created a modern fairy-take with the perfect amount of feel good comedy and love to even make those with the coldest hearts smile.